We are located just 10 minutes from downtown savannah. up traditional seafood dishes and southern favorites! bring the family and dine with us today! 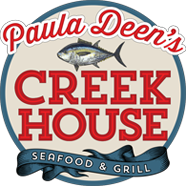 © 2019 Paula Deen’s Creek House Seafood & Grill. All rights reserved.